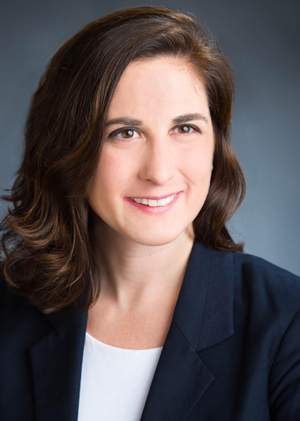 Alyson J. Fritzges is an attorney with Riley Riper Holln & Colagreco, practicing in the areas of land use, zoning and real estate primarily in the telecommunications industry. Alyson represents major telecommunication providers, developers, landowners and real estate investors on development projects throughout the region. Alyson’s impressive background serving as solicitor to numerous municipal entities lends her a valuable perspective in successfully navigating complex municipal zoning and land use processes on behalf of her clients. She has worked successfully with townships, boroughs, zoning hearing boards and other authorities throughout Pennsylvania and New Jersey. Alyson served as solicitor to the Falls Township Zoning Hearing Board, as well as Landsdale Borough, Jenkintown Borough, Phoenixville Borough, Morrisville Borough, the Redevelopment Authority of Montgomery County and the City of Philadelphia. Alyson has extensive experience in drafting zoning ordinanes as well as grant agreements, development agreements and financial security agreements. She offes her clients a thorough, insightful approach to land use and zoning issues.